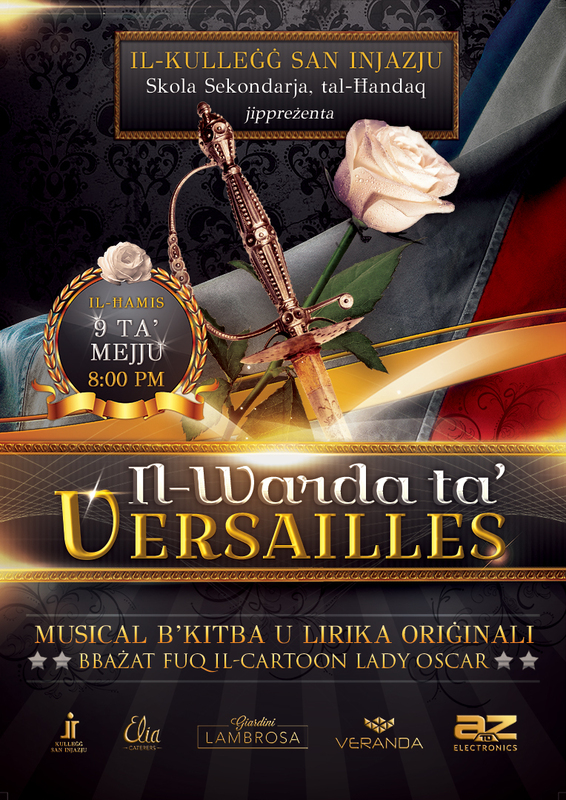 An original Musical in Maltese language, produced by our Secondary School community, based on the cartoon and graphic novel “The Rose of Versailles” also known as “Lady Oscar”, by Ryoko Ikeda. The students will take the audience back to 18th century Baroque France and the prelude to the French Revolution, following the story of Oscar François de Jarjayes, daughter of a military general, raised and educated as a man, and captain of the Royal Guard. Oscar is protector of the Dauphin and the Dauphine of France, Marie Antoinette, with whom she becomes a close friend. As France is turning into a crucible that lead to one of the most important Historical events in Europe, Oscar deals with her internal conflicts, love and suffering. The revolution of France is also a revolution for Oscar. This production will feature original music and lyrics, written specifically for this show.